Besides the convenience, I think the best part about my iPhone's camera is the ability to quickly edit the pictures I've taken. To edit a photo, go to your Camera Roll and select the photo you would like to spruce up. Tap on Edit in the upper right corner of your screen. Here you'll be given several tools to edit your photo. The various edit options (from left to right on the bottom of your screen) allows you to rotate your photo, auto-enhance it, choose different filters, remove red-eye, or crop your photo. I have a friend who has several hundred photos on her iPhone 5. She's been taking photos on her phone since last summer and has never exported any of them. She's running out of room to take more. The other day she asked me how to get the photos from her phone to her computer. She's never connected her iPhone to her computer, instead choosing to upgrade her operating system and download apps wirelessly. There are a variety of ways to export photos, most of them depending on what kind of computer you have and what operating system you are running. Ōlloclip makes some of my favorite tools for iPhone photography and this year at CES the company was there in force, showing off their impressive new array of iPhoneography gear. The Pepcom Digital Experience is one of the most anticipated events at the annual Consumer Electronics Show. More than 200 brands come together the night before CES officially opens to show tech journalists their best products of the year, and I'm bringing my three favorite products for teens to you. The iPhone 5s camera is already a wonder, and clearly Apple has plans to make it even better, as indicated by the news this past weekend that Apple had purchased both the SnappyCam app and the one-man company that developed it: SnappyLabs. The app had been quite popular because it allowed users to take a burst of high-quality photos, similar to the burst mode Apple eventually incorporated into the iPhone 5s. Apparently creating this feature was no small feat, and Apple must have been impressed by the achievement of the developer, John Papandriopoulos. Apple's intention is likely to incorporate some of the impressive technology of SnappyCam into the iPhone's Camera app. But Apple also purchases companies with the intention of not only acquiring their technology but also their personnel. And so Papandriopolous will now be contributing his expertise as an employee of Apple. Vote Now in the iPhone Life Photo Contest: Voting Ends Dec. 30! Vote now in the iPhone Life iPhone Photography Contest! The deadline is Monday, December 30. Click HERE to choose your favorite images. The top 10 photos will be featured in the March-April issue of iPhone Life magazine. Read more about Vote Now in the iPhone Life Photo Contest: Voting Ends Dec. 30! It's photo contest time again. 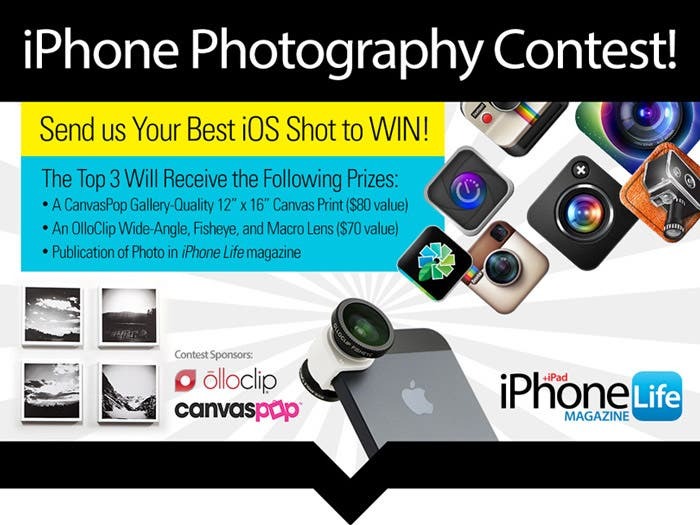 We know you enjoy taking occasional artistic shots with your iPhone so why not get rewarded for it! Enter our iPhone Photography Contest for a chance to win awesome prizes and a spot in our magazine! Submit your best iPhone photograph(s) at iphonelife.com/enterphoto by Dec. 20. You must take and edit all photos with an iOS device, using only iOS apps. Don't forget to give each photo a title, and tell us which apps, if any, you used to process each image with. One of the things I love the most about technology is how rapidly it evolves. What once cost thousands of dollars to purchase and required trained professionals to implement and use can become a commonplace commodity in a short matter of years. Such is the case with remote security cameras. 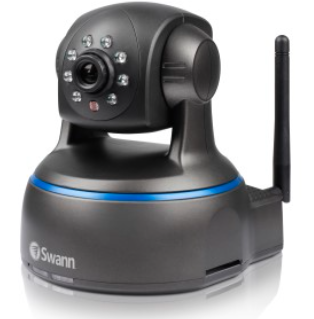 One company that has thrived through these technology shifts is Swann, and their latest camera, the SwannEye HD, embodies the latest technological innovations while keeping the price affordable for anyone interested in visually monitoring security remotely. Let’s take a closer look at what the SwannEye HD has to offer. I just came across a solution to a problem I never would have figured out if not for the great and powerful "Internets." I was trying to send a full-resolution photo from my iPad via email. Normally on my iPhone, when I click send, I am presented with a pop up asking what resolution I want. Not so on iPad. Once I chose a photo and clicked to send via email, it automatically loaded the photo in a size that is not full resolution. I went directly to settings and hunted around for anything that seemed like it would control default resolutions. NOTHING! While walking through a lovely New Jersey Park with my wife, we came across this lovely scene. I quickly took the (color) picture and we continued along. Many lovely photos were taken that day. When I came home I liked this one in particular. The problem was that while it was a nice picture, it just wasn't as good as I'd like it to be. I tried some simple color enhancements and still wasn't satisfied. I even tried a psychedelic look, but it just looked silly. So I put it to the side. 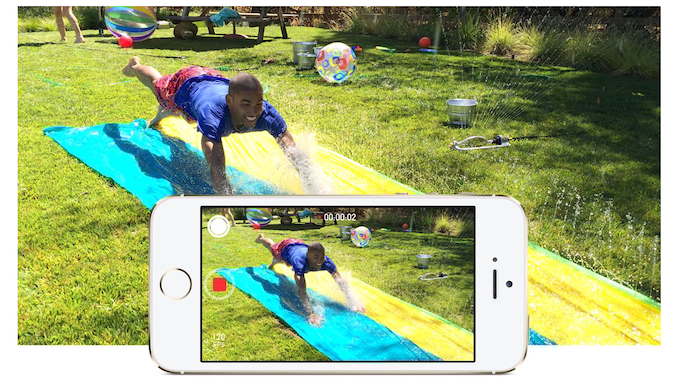 With the introduction of the iPhone 5s, Apple brought two new features to the device's camera: Slow Mo and Burst Mode. Both new shooting modes help capture great content that you can share with the ones you care about. But sharing Slow Mo vids is more difficult than it needs to be, especially on a service like Instagram. Luckily, we have a simple way to do it. The iPhone 5s has been available for about a month now and the improvements made to its camera (Burst Mode and Slo-Mo) are some of my favorite features. 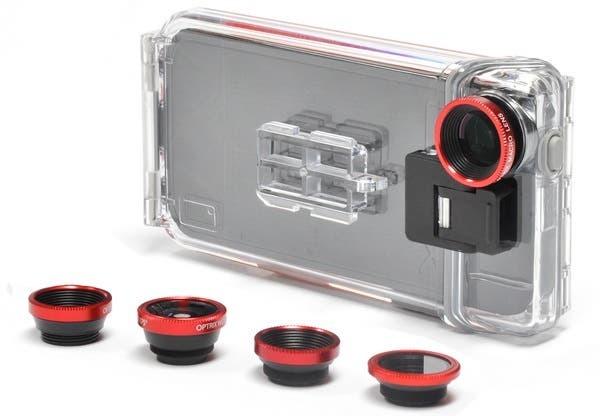 While the iPhone is no action camera, cases like the PhotoProX from Optrix ($149.95) can help blur the line between the iPhone and something like the GoPro. But is it worth the price? Enter our iPhone Photography Contest for a chance to win awesome prizes and a prime spot in iPhone Life magazine! Submit your best iPhone photograph(s) at iphonelife.com/enterphoto by Oct. 25. You must take and edit all photos with an iOS device, using only iOS apps. Don't forget to give each photo a title, and tell us which apps, if any, you used to process each image with. If your submission is among the 3 top-voted photos on our Facebook page, you’ll win an olloclip quick-connect lens set ($70 value) and a CanvasPop 16- by 20-inch gallery-quality print ($80 value). In addition, we’ll feature the top 10 photos in an upcoming issue of iPhone Life magazine. 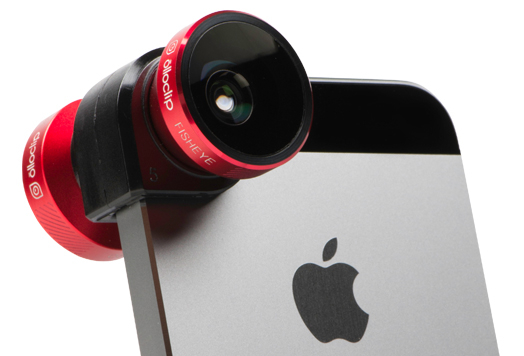 Olloclip Does it Again, and Your Photos Will Never Be the Same! Just as Apple found a way to enhance the iPhone 5s camera without changing much of the packaging, the folks at Ollo have done the same with their popular Olloclip. 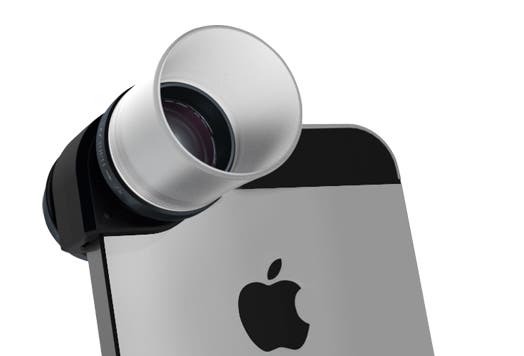 The accessory clips on to the corner of a naked iPhone, positioning a set of lenses precisely over the built-in camera. Read more about Olloclip Does it Again, and Your Photos Will Never Be the Same! This article is targeted at anyone wanting to do “fun” things with the cameras of their iDevices, including creating time-lapse videos. In my latest article on making use of the zooming in videos, I've already reviewed the zoom capabilities of a recently-discounted camera app in AppStore, ProCam ($1.99). In that article, I recommend against using it for video shooting on lossless zoom-capable devices if you plan to use the zoom. This article is targeted at advanced iPhone 5, 5c, and 5s users using iOS 7; video shooters; programmers coding video apps; and Apple's engineers in charge of bug fixing. iPhones produce really decent video footage under ideal circumstances. Sure, they have their share of problems; for example, the lack of stereo audio recording, optical image stabilization (OIS), and wide field-of-view lens, all three supported by other flagships like the LG G2 running Android or the Nokia 92x/1020 running Windows Phone 8. However, under good lighting, and if you shoot on a tripod, you can easily have significantly better image quality than the LG G2 or most, if not all, Android phones. (Tripods make it possible to avoid camera blur, which is detrimental to the image quality.) Similarly, all iPhones since the iPhone 4 generally produce much better-detailed footage than most dedicated point-and-shoot cameras. They can, in video quality, easily beat even large-sensor DSLRs or ILC cameras because there's no aliasing or, unless you zoom in, moire in the image—unlike imost large-sensor cameras. Of course, a large-sensor camera will always have better dynamic range and less noise, meaning the iPhone is only preferable in ideal lighting circumstances or when you don't have any other camera with you. ProCamera (free at the moment) has always been one of the apps I recommend for generic shooting. While it lacks specialized stuff such as image stitching algorithms like panorama or true HDR shooters, it's still a very decent user interface built around Apple's Camera application programming interface (API), allowing for the manual configuration of almost all features configurable via the API. For example, it supports extending the shutter speed from the default 1/15 second minimum up to 1 second, making it possible to take night shots of far better quality and exposure than you otherwise could with the Camera app. Why is it so %$&# Hard to Make an App Easy?!? 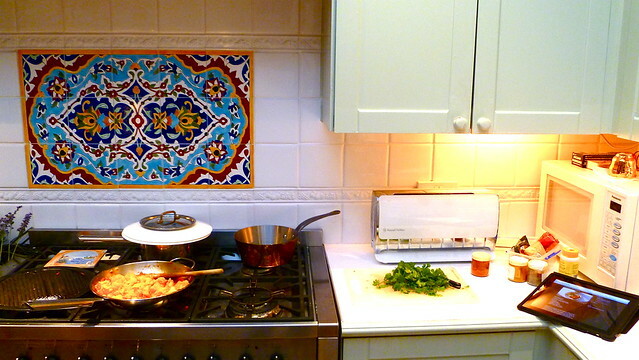 The other night my wife and I were cooking dinner. We decided to try using a new app in order to find a new recipe. Unfortunately, this app was so poorly designed that it was practically impossible to use. Anyone could have designed that app better, right? Wrong. It’s hard to design something to be easy to use. And there is a science behind why it's so hard. Read more about Why is it so %$&# Hard to Make an App Easy?! ?